Guava leaf is one of the most effective remedies for promoting hair growth and arresting hair loss. Since guava leaves have antimicrobial and anti inflammatory properties, it treats almost all scalp problems and helps reduce scalp inflammation which is the main reason for hair fall. If you are suffering from hair loss, try using guava leaves regularly, it will arrest hair fall immediately and promote hair growth. 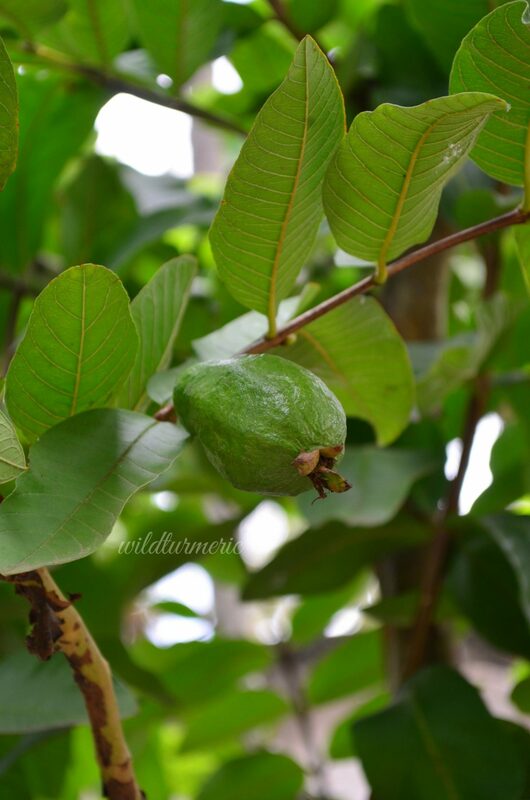 The botanical name of guava tree is Psidium Gujava and the leaves are called amrood ke patte in Hindi and கொய்யா இலைகள் in Tamil. 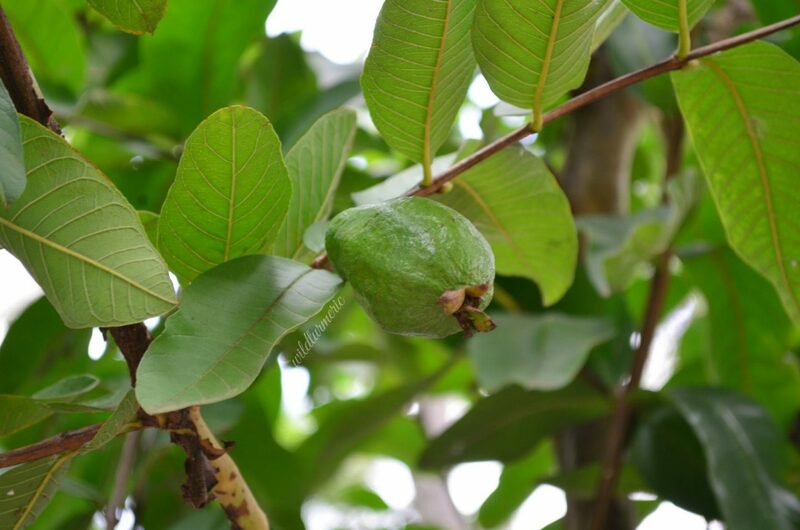 Guava leaves are not only beneficial for hair, it has many health and skin care benefits and you can read about it in detail here. 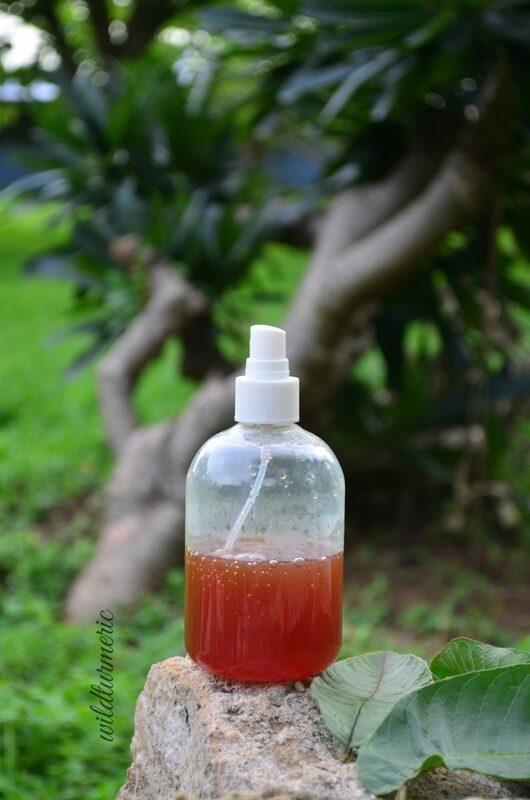 Guava leaves are amazing for promoting hair growth both when consumed internally as a tea or applied externally in the form of hair rinse, hair serum, hair pack and hair oil. It treats almost all the hair problems that results in hair loss including dandruff, scalp inflammation and scalp infection. 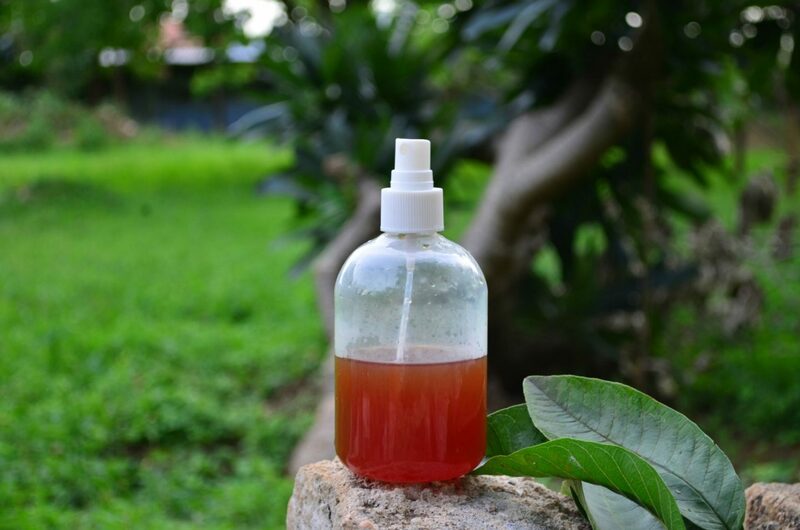 Since we get guava leaves very cheap easily throughout the year, we can continue using it for hair care. 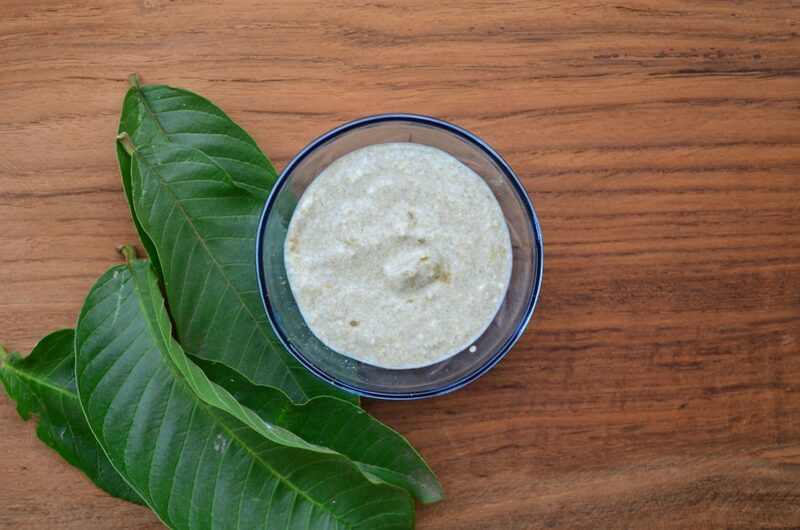 We can use either fresh guava leaves, guava leaf oil extracted from the leaves and finally guava leaf powder got by sun drying guava leaves till crisp and powdering in a dry mixer. Guava leaves have amazing anti inflammatory properties which helps reduce scalp inflammation very quickly. Scalp inflammation is one of the main causes of hair fall and using guava leaf hair treatments will greatly help treat it fast. Anemia is one of the major reasons for hair fall and many of us Indian women are anemic. Guava leaves have anti anemic properties so it helps treat anemia when consumed internally as a tea. Try to steep guava leaves in water and consume as a tea. 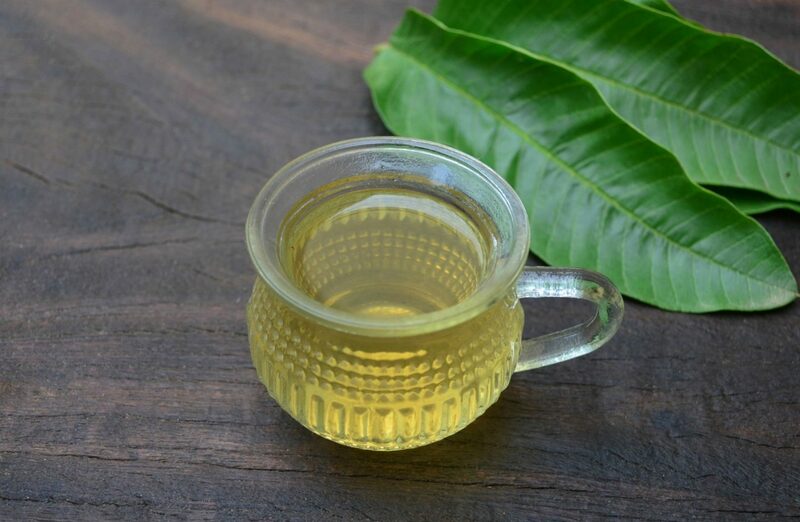 Guava leaves have antioxidant properties and using it both externally as a hair rinse or as a hair pack and consuming it internally in the form of guava tea will help reduce oxidative stress which is the main cause of hair fall. Antioxidants also gets rid of free radicals which is the major cause of premature ageing of our skin and hair. Guava leaves greatly prevents premature greying of the hair when we use it regularly as a hair treatment. The flavonoids quercetin and it’s glycosides present in guava leaves stimulates melanogenesis which refers to the production of melanin, the pigment that gives our hair the black color. Where To Buy Guava Leaves For Hair Growth? Guava leaves are not usually sold in the markets as guava trees are found throughout India but if you still can’t get guava leaves, you can buy dried guava leaves online. Guava leaf powder for using in hair growth packs is also not commonly available. To make guava leaf powder, sun dry guava leaves and powder in a dry mixer, sieve and store. To use guava leaves for hair growth, take a 4 to 5 large guava leaves in a pot, boil it along with a cup of water for 5 minutes till the water changes color. Now switch off and let cool completely and strain. Now to the strained mixture, add few drops of rosemary essential oil and mix well. Pour this mixture in a spray bottle and use it for promoting hair growth and getting rid of dandruff. To use, spray this mixture on the scalp and hair, wait for 15 to 20 minutes before having hair wash.
To use guava leaf oil for hair growth, mix a cup of unrefined cold pressed virgin coconut oil with few drops of guava essential oil and use it for massaging your scalp. Guava essential oil will stop hair loss and promote hair growth, you can easily order guava essential oil through online shops. If you don’t have unrefined coconut oil, you can use any unrefined oil that you have at home. We can also add few drops of guava oil to shampoo and make guava shampoo too. 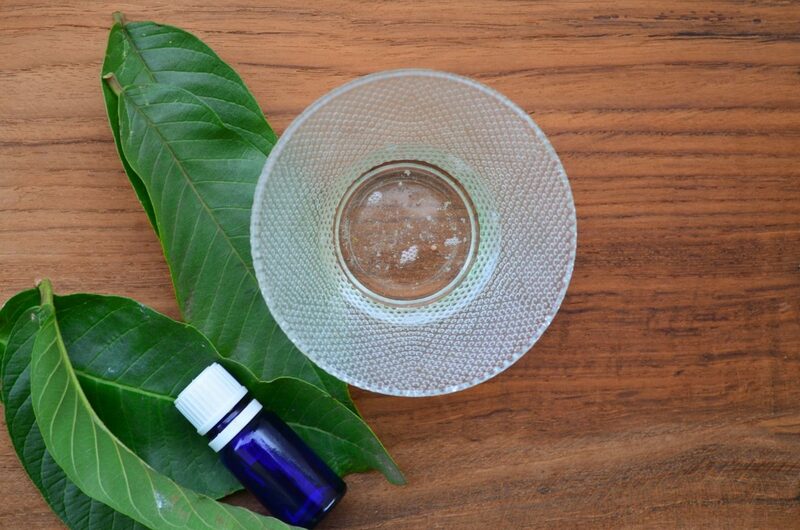 To make guava leaf hair serum, take a cup of guava leaf tea in a bowl, add in a tbsp of aloe vera gel and the content of three vitamin e capsules and mix well. The serum will thicken a bit once you add the aloe vera gel and the vitamin e will improve the shelf life to an extent. Store this serum immediately in the fridge and use daily. To use, spray little bit of the serum onto your scalp and massage gently for a few seconds and then wash it off once it dries. 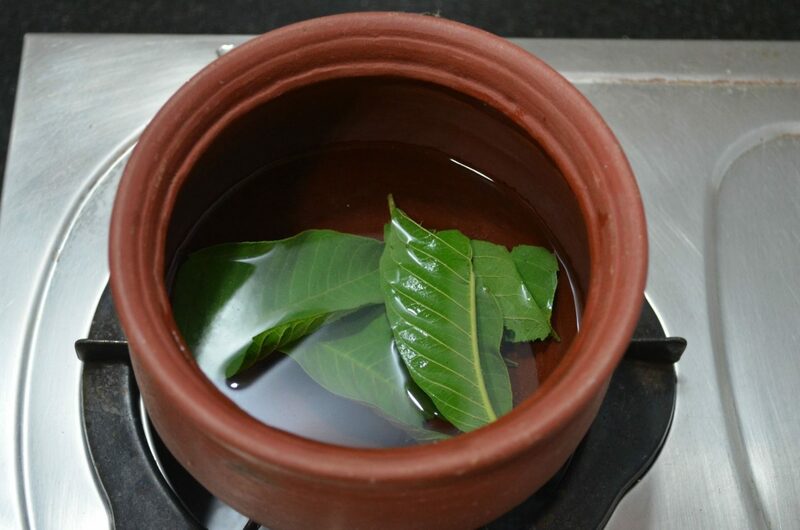 For making guava leaf tea, heat a cup of water in a pot and let it come to a rolling boil. Once it comes to a rolling boil, add one large fresh guava leaf torn into small pieces and switch off. Let it steep till the mixture comes to lukewarm temperature, strain and consume. This drink will treat anemia and will greatly prevent anemia induces hair loss. It is also rich in antioxidants.